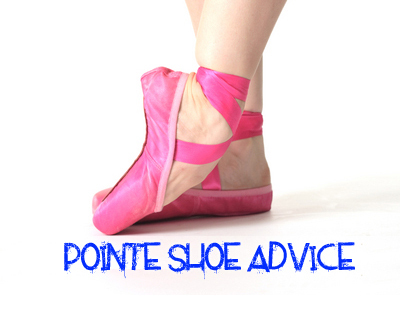 Pointe shoe tips from the industry’s leading dancewear specialists. The time has finally come. Your ballet teacher has said that you can go up en pointe and you need to buy your first pair of pointe shoes. So what now? The first thing you need to do is have a discussion with your teacher about what they want you to buy. Some teachers and schools are very specific about brands, models, ribbon sewing, ribbon type, toe pads, colour, shape, … it can be overwhelming if you don’t get a little guidance from your teacher! Pointe work is hard, occasionally it might be uncomfortable, and it can be costly if you don’t take care of your shoes. So it is important that you start looking after your feet now and are prepared prior to your fitting. Trim your toe nails in a straight line. Speak to a physiotherapist or podiatrist to ensure that your feet and legs are ready for pointe work as they may be able to give you extra exercises to strengthen your muscles. If your bones haven’t formed significantly, you may end up with injuries. Do lots of rises and pick up a Thera-Band from your local dance shop to increase the strength of your feet and lower legs. 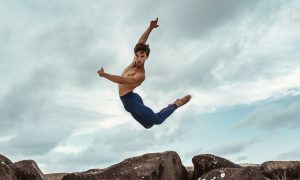 All dancers should learn that pointe shoes are meant to provide support, but that strength in the feet must be developed from the beginning if proper technique is to be achieved. – You won’t be dressed properly. The pointe shoe fitter will need you to do pliés, tendus, rises, and relevés, and you need freedom of movement without the restriction of a school uniform. Avoid overly baggy clothing as the fitter will want to look at the student’s placement through the body. Any long pants will need to be rolled up as the fitter will also need to look at the student’s ankles. – Your feet will be hot and a little swollen after a day in socks/stockings and school shoes. To get the most accurate fit, it is preferable that you arrive for your fitting earlier in the day to avoid this. – After school time is the busiest for dance stores, so you may have to wait to be fitted and there may simply not be enough time for a proper fitting. – There may not be a qualified pointe shoe fitter available when you arrive. Pointe shoes should always be fitted in the store the same way they are going to be worn in class or performance and the fitting should always be conducted on a solid floor. Carpet will cushion any ‘feeling of the floor’, and rolling off the platform cannot be easily noticed. As a result what felt comfortable in the store on carpet may not be comfortable in class on a wooden floor. Once you arrive at your local dance store, you may find yourself overwhelmed with choice. For this reason, it is important to ensure you are being serviced by someone who has a good knowledge of what’s required in pointe work and understands the products well. 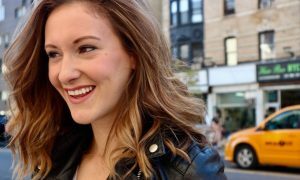 Most renowned stores have highly trained staff available at all times so choose a store that has experienced pointe shoe fitters by asking about their experience when calling ahead. Establish what kind of toe pads, if any, you will be wearing as this can affect the fitting. While every foot and every need is different, padding should be kept to a minimum in order to ensure you can feel your feet in the shoes. Many pointe fitting specialists recommend lambswool as it adequately protects toe joints, is breathable and can be washed and re-used. Capezio also suggests Bunheads’ Ouch Pouch Junior. If blisters are a major problem Energetiks suggests the Energetiks Pro Pointe Pouch. There are quite a few brands of gel products on the market that you can try. All the industry professionals we spoke to recommend gentle stretching of the feet and ankles in preparation for trying on pointe shoes. The last thing you want to do is injure yourself! You may want to try on a variety of brands and styles to find out which shoe feels the most comfortable and looks the best until you find something that works for you. All brands of pointe shoes are different, and some will suit certain feet better than others. Sansha, Bloch, Energetiks and Capezio all agree that usually a softer shoe is best for your first pair. Your pointe shoe fitter will be able to advise what models are suitable for beginners. Bear in mind that pointe shoes should be firm but NOT tight as your toes must sit flat in shoes and not be scrunched or curled. However growing room is not an option as this will increase the likelihood of blisters, injury, and falling off pointe. Pointe shoes WILL stretch over time, so a firmer fitting is best. There’s nothing worse than a sloppy pair of pointe shoes that make you look like you aren’t stretching your feet! Once you are happy with a pair of shoes, ask the fitter how to sew the ribbons and elastic on if you are unsure, and don’t forget to buy some ribbon as pointe shoes require a thicker type than your ballet flats. No matter how much you are dying to put your new shoes on the minute you get home or to the ballet studio, DON’T. Show them to your teacher and make sure he or she is happy with the style and fit. Most stores will allow you to return the shoes and exchange them if the teacher is unhappy with the fit but only if they haven’t been worn and are brand new. Pointe shoes aren’t cheap, so don’t risk it by dancing around in the shoes before your teacher has seen them. Once your teacher has approved your purchase, your ribbons have been sewn on and you’re ready for your first class, refrain from manipulating the shoes with your hands. Your teacher will show you how to soften the shank and toe box if necessary, but in most cases you will be taught to wear in the shoes by doing rises and other exercises at the barre. After each class, take your toe pads out of your pointe shoes as the sweat will soften the shoes and decrease their lifespan. Hang the shoes on your bedroom door handle and let them air out between each wear. To restore the shape of the toe box, gently stuff this area with absorbent paper for a short period of time and place the shoes in a dry, warm and well ventilated area, remembering to change the absorbent paper frequently. This will prevent moisture remaining in the box of the shoe which can lead to the premature softening of the paste and the shoe drying out in a distorted manner. Blisters are common, so if you get one use a band aid or better still Spenco Second Skin blister kit to protect the raw skin. Over time your feet will toughen and blisters will be less of a problem. To help toughen the skin to prevent a blister you can bathe your feet in warm water with either Epsom salts or methlayted spirts added. You can also try Bloch Foot Essentials to help take care of your feet. If blisters, corns, bruised toe nails or general foot pain persist, consult your pointe shoe fitter, teacher or health professional. Continue using your Thera-Band and keep up the rises as strength is essential to good pointe work. Be kind to your feet and your shoes. Dance Informa employed the expert advice of Ron Fung, Sansha; Sandie Windsor-Richards, Bloch; Graeme Taylor, Capezio; and Lynda Chapman, Energetiks. Make sure to visit your nearest Sansha, Bloch, Capezio or Energetiks store for all your dancewear needs, or ask for these brands at your local dance shop.